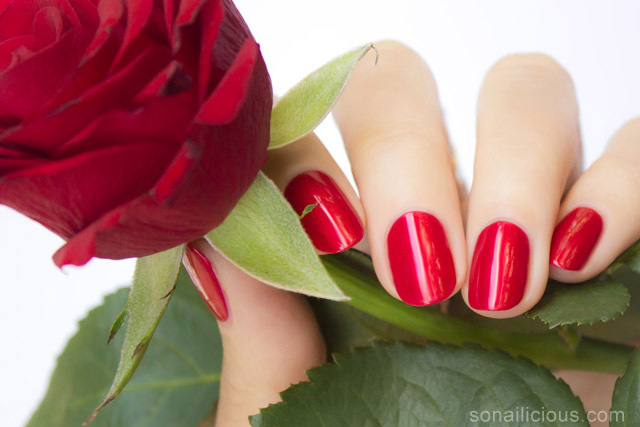 In anticipation of Valentine’s Day, we present you with a compilation of 7 sensual red nail polishes. Each of these reds possess a quality that makes unique among the plethora of red lacquers already on the market. Enjoy! 1. ORLY Star Spangled, $5.50 here. 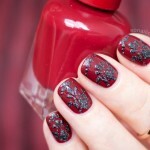 Ruby red nail polish with extra-fine micro glitter, it shines like no other. Fast drying, 4-free and easy to apply. Excellent for any kind of festive or V-Day manicures. 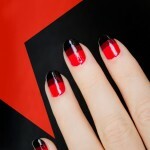 It also looks great in matte like in this red & gold nail design. 2. DIOR Diorific 762 Shock, $27 here. Bright fire red with an extra fine, almost invisible gold shimmer. This is the glossiest of the 7 featured in this article. 762 Shock is very fast drying and 5-free. As a bonus, the signature Diorific packaging is absolute eye candy – gorgeous! See full review and more swatches here. 3. 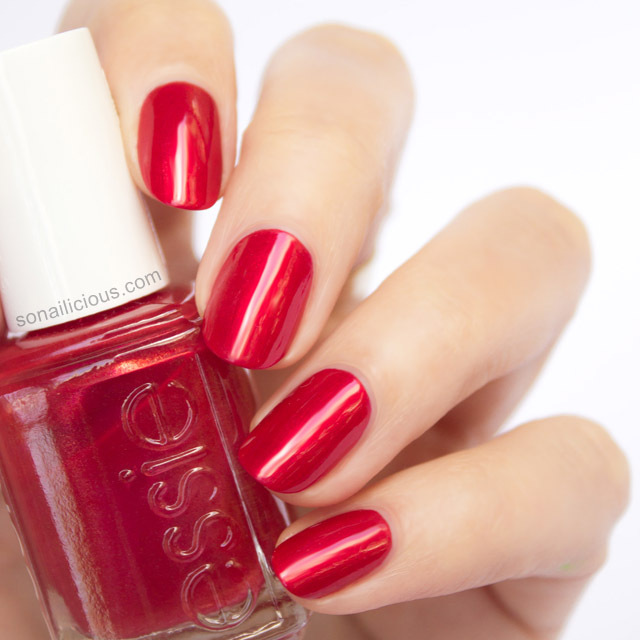 ESSIE Jag U Are, $8.50 here. Stunning metallic fire red. Fast drying, 3-free and easy to apply. It looks particularly great mattified and is also great for pedicures – very long-lasting. 4. OPI Romantically Involved, $9.50 here. 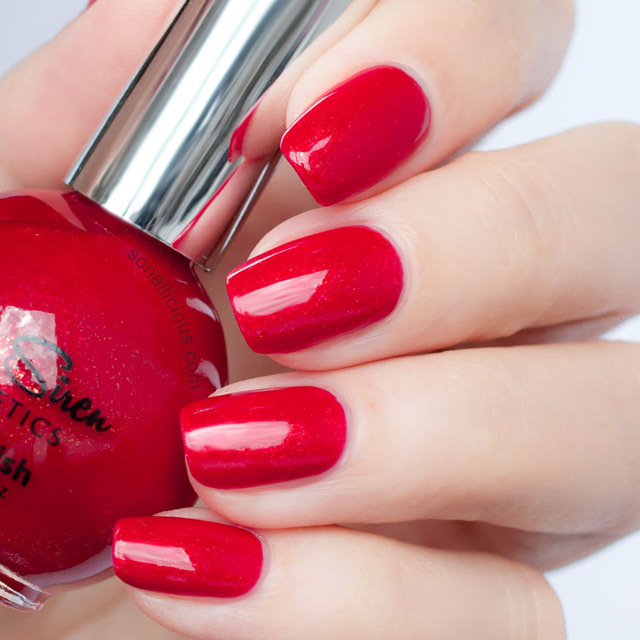 A classic deep red creme. This is the new limited edition colour from the much anticipated OPI 50 Shades of Grey collection. Very glossy and 2 coats is enough to get fully opaque coverage. Also fast drying and 3-free. 5. SEA SIREN Temptress, $15.95 here (or in a set $29 here). A super bright fire red with extra fine gold shimmer. Fast drying, 5-free and it’s made in Australia! Looks amazing on it’s own or for nail art. Pair it with neutral cremes like beige or light grey to make sure this polish gets to fully show its beauty. 6. ILLAMASQUA Throb, $21 here. Highly pigmented, warm red with rose undertones. 1 coat is enough for a fully opaque look (as pictured). This means minimal drying time and the fastest red nails ever! Fast drying, 4-free and easy to apply. See full review and more swatches here. 7. 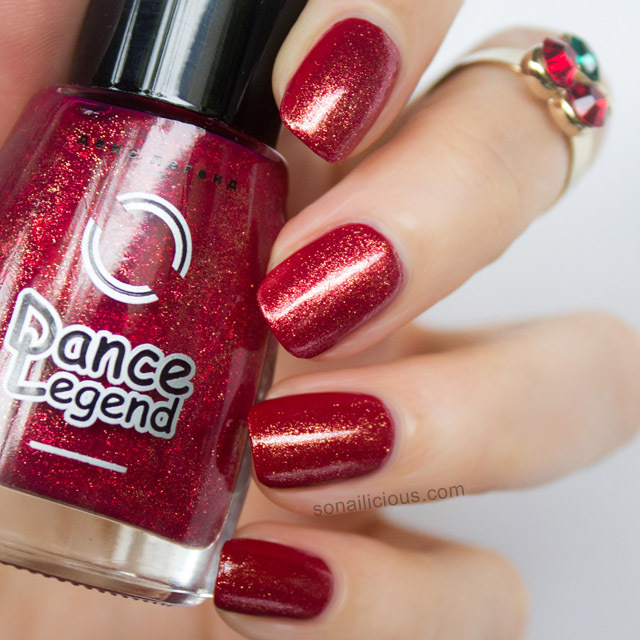 DANCE LEGEND #210 Golden Red, $12.90 here. 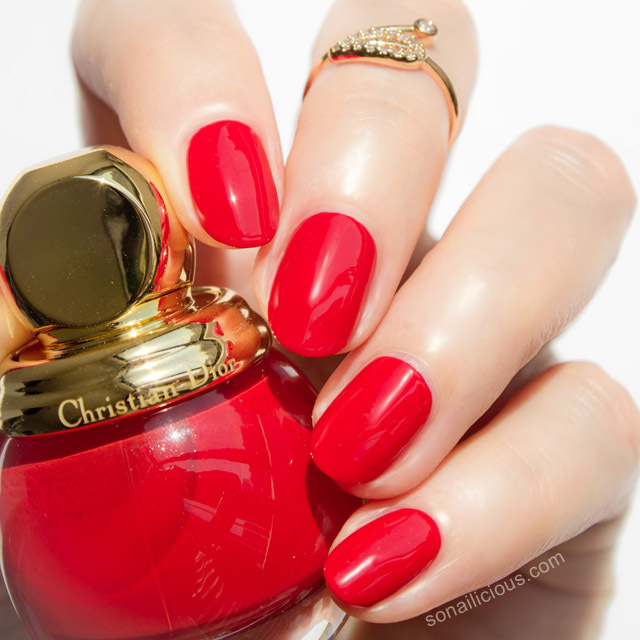 The best way to describe this polish is, when gold meets red and a party ensues. Super shiny 3-free and fast drying. 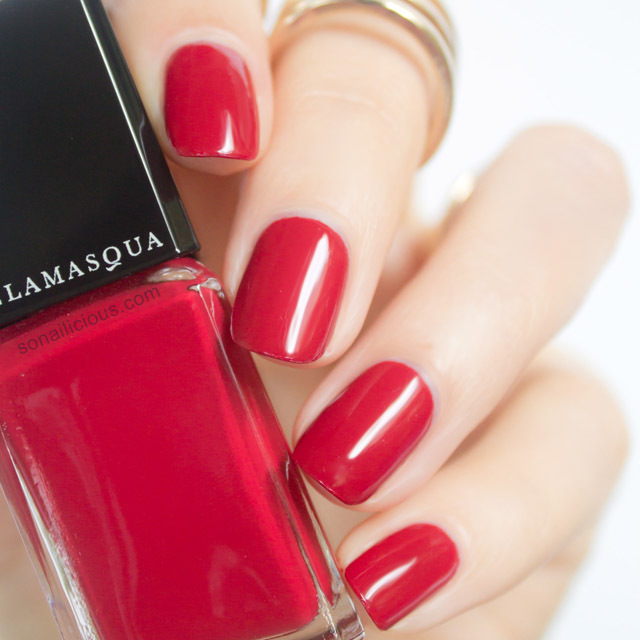 For maximum richness of colour wear it over a classic red creme like Illamasqua Throb (above) or OPI Over and Over Gwen. Have you tried any of sirens? What’s your favorite red? Subscribe to SoNailicious Newsletter to get our weekly emails or follow us via Bloglovin for daily updates.